Cactus Stone & Tile is a proven resource for ceramic, glass, metal, and stone tile, serving the U.S. building industry since 1973. We are achieving the highest levels of quality and service with the unwavering support of our factories worldwide and the knowledge and dedication of our staff. 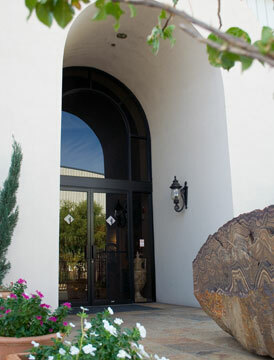 Our global reach into the world of tile is reflected in our 35,000 sq.ft. 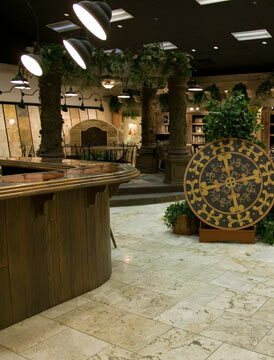 of combined showrooms, featuring displays of exotic yet affordable luxury. Experience the Cactus difference. "During my 35+ year career in interior design I have had the privilege of working with many great tile and stone suppliers. With Cactus Stone & Tile rising to the top of my favorite?s list for local wholesale distributors, their selection of ceramic and stone tile and an amazing collection of natural stone slabs is what sets them apart. Cactus Stone & Tile not only has an extensive product line with the ability to customize, they are continually introducing new creations that can?t be found anywhere else. Approaching each project with the same consummate knowledge and professionalism, Cactus Stone & Tile allows me the opportunity to provide my clients the absolute best the industry has to offer." 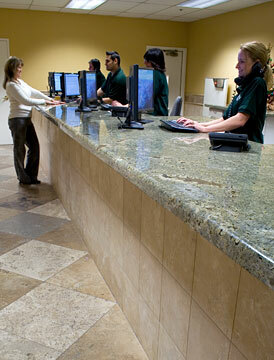 "Cactus Stone & Tile has been our "go-to" source for the high quality stone and related products our design jobs demand. Their three unique showrooms continually stimulate us with ideas, and the people that take care of us have the experience and knowledge required to meet ours and our client’s needs. We feel very much at-ease taking those clients to preview stone slab material. It’s a wonderful experience, starting with the warm and sincere greeting we receive upon our arrival, to the refreshments, the soft music, and fans adding to our comfort in the warehouse. Everyone at Cactus Tile goes out of their way to make sure that whatever our selections are, we have big enough samples for ourselves and our clients and they work especially hard when we have a budget to meet. Their vision and commitment to the design community is tremendous, and we are proud to say that we only work with the very best!" "As a design professional, it is important to us and our Clients that we have a wide range of materials to incorporate into our design, a comprehensive & comfortable showroom setting in which we can preview those materials and knowledgeable staff to assist us. Cactus Stone has consistently provided our discerning Clients a very broad range of hand selected stone surfaces, the finest showroom facilities in town and impeccable service. We are glad to have the Cactus Stone team as our design partner." "When I talk with customers about the quality of the work I want to provide at a reasonable price, it always somehow comes back to Cactus Stone. As fabricators we trust one company in the southwest to find this limited earthly resource and to handle it with the respect it deserves to reach our shops as if it were the only stone available on the planet every time! I am proud to purchase from a company that goes to the most remote places in the world to select the best factories and selects the best slabs to be worthy to be in the Cactus Stone Gallery. Searching for slabs for whatever application can be tedious. There are hidden gems around the valley and southwest when it comes to stone, but there aren’t many gems outside of Cactus Stone. On top of that, they have recognized the industry’s lack in helpful presentation and taken it to a new level..."
"With so many choices available in today’s stone and tile market, it is reassuring to know that Cactus Stone & Tile always offers unique, one of a kind products that I can incorporate into any of my interior design projects. Whether it’s great personal service from Tony, who faithfully travels to Tucson keeping us updated on the latest trends or the individual attention I receive when at a Cactus facility in Phoenix, I can count on finding exactly what I’m looking for. Most items are in stock, and their ability to ship direct is invaluable to my business. If something is not available, I can view images of the actual pieces from Italy. It is without hesitation that I recommend Cactus Stone & Tile to builders or interior designers who insist on unmatched selection, quality and service." "Thank you so much for your hospitality, your entire operation makes me proud of our association. I seriously mean that, our day at Cactus was perfect, not a single misstep. From the wide array of materials to the warm, wonderful professionals you employ… Spot On! Betsy is the best! My request, my client’s requests and many changes, Betsy fielded all that was thrown at her with grace and knowledge. She knew how not to step on my toes (the designer) with opinions and yet subtly assist the client in a visually harmonious direction. Regarding my desire to visit the competition, that thought originated from the client, Jeff asked that since they were traveling such a distance, are there other places to see? Of course once the Cactus experience was in full swing the competition was a moot point. Thanks again and I’ll place the order soon."